The Goldman Group and Monarch Corporation are proud to bring you their latest development. 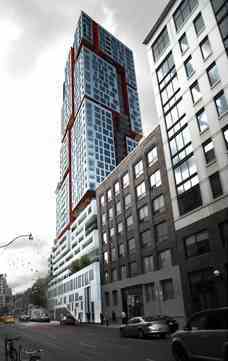 Picasso Condo will offer approximately 400 units in a 39-storey masterpiece. Featuring incredible city and lake views and stunning finishes. This iconic development will surely be one of Toronto’s hottest new downtown address’. Minutes from the theater and financial district, and Queen West coveted shopping district. The Goldman Group is a fully integrated real estate development company that has developed and built in Canada, the United States, and Israel for over forty five years. The Goldman Group has a history of innovative and original developments that have broken new ground and has established new neighborhoods in already established urban areas. The vision of Murray Goldman and his ability to anticipate societal and demographic changes has greatly contributed to the success of the company.